The phone cases hold everything from cash to lip gloss. Also, be sure to like the new Facbook page, so you can be the first to know about deals that you can't get anywhere else on the internet! Remember to use code EYNTODAY to get the 40 percent off! Eyn stands for "everything you need," and that's definitely what this case carries. 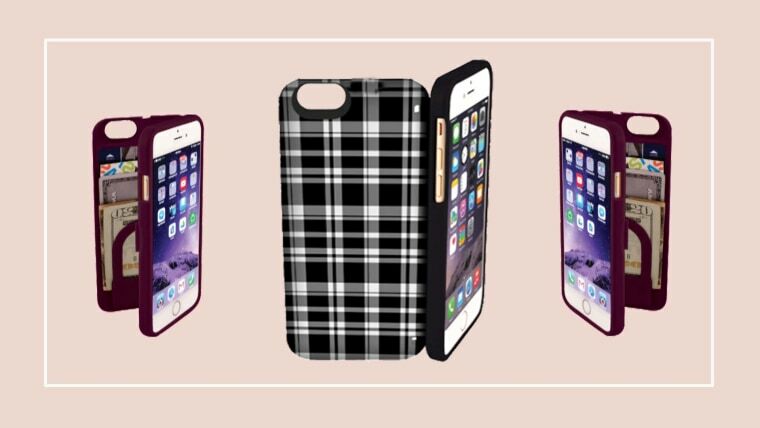 Sized for iPhone 7, 7 plus, 6 and 6 plus, this protective phone case has a storage compartment to hold all the essentials, including your ID, credit card, cash and more, all in one secure place. Taking the concept a step further, Eyn cases can also store lip balm, sunscreen, Band-Aids, receipts, hair ties, gum, aspirin and more. The case also has a mirror inside, as well as a wrist strap for extra security and easy carrying. And it comes in several fun colors and patterns. Lastly, the kickstand feature is perfect for watching videos, chatting on FaceTime and using with GPS navigation or Waze on the car dashboard. For more gifts, check out today's Steals & Deals which have 60 percent or more off on the best gifts for kids!